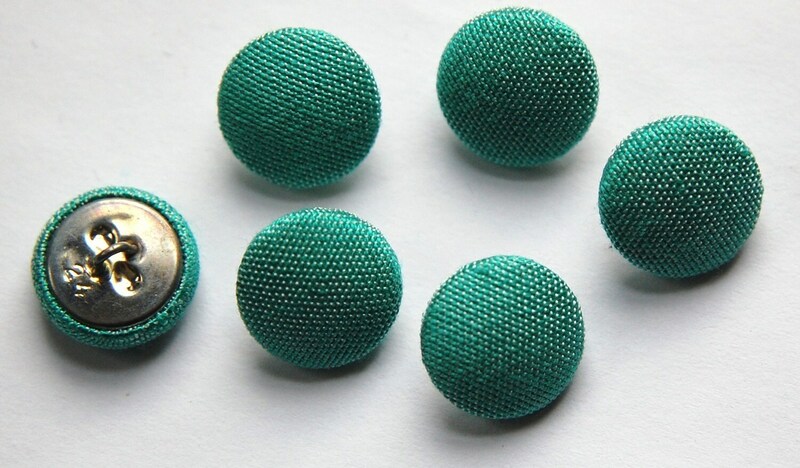 These are a pretty shade of light blue with a touch of green silk fabric covered buttons. They have a metal back and shank. These measure 15mm. You will receive 6 buttons. The buttons came super fast, looked just like the picture, and pretty much saved a shirt of mine. I'm super grateful!